These easy, homemade peanut butter granola bars need only four ingredients, can be baked or not, and the flavor is out of this world good! Happy National Peanut Butter Day!! I don’t know how it is in your household, but in mine…peanut butter is one of those staples that must be there at all times. J loves it, Nat loves it, the dogs lose their minds for it. Did I mention that the toddler likes to just sit down with a jar of peanut butter and a spoon and go to town? Graham crackers and peanut butter, PB&J sandwiches, waffles with peanut butter and honey – so many ways to eat it. J eats some sort of bar every day at work for a snack. Protein bar in the morning, fig bar or granola bar for late morning or afternoon snack, etc. So, I decided to make some granola bars for him and the munchkin. But not just any granola bars. Peanut butter granola bars. With cinnamon chips. That’s right, cinnamon chips, instead of the more common chocolate chips. And let me just tell you – they were a BIG hit. 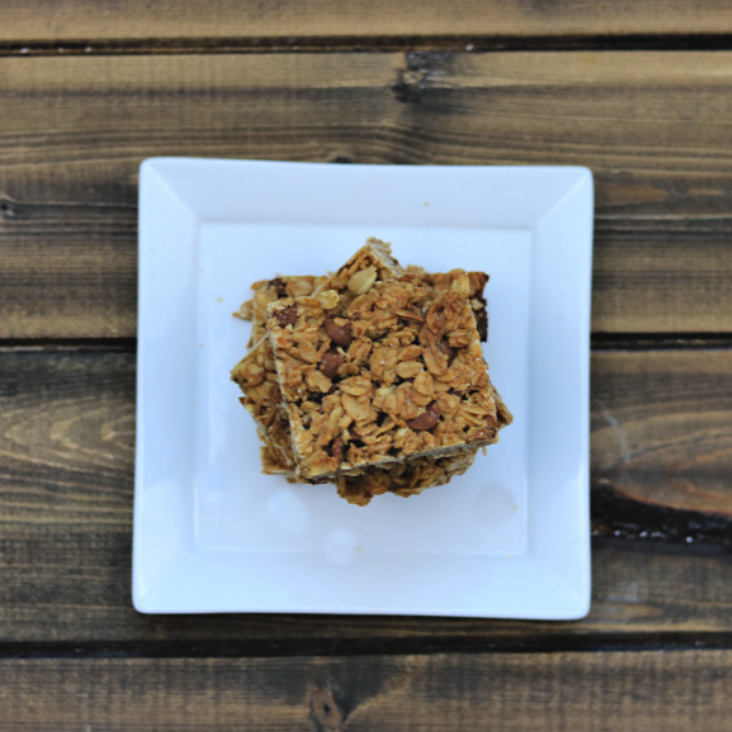 And for someone who pretty much adores all things chocolate chip, I have to admit that the cinnamon chips really are the perfect complimentary addition to these peanut butter granola bars. But if that’s not your jam, you can use chocolate chips, or chopped peanuts, or whatever addition your little heart so desires. I highly recommend the cinnamon chips though. Just sayin’. Combine oats and honey together in a bowl. Add melted peanut butter and mix well. Press into a prepared 13×9 baking pan. Bake for ~20 minutes OR refrigerate for 1 hour. And because it’s National Peanut Butter Day, here are some more great recipes to try! In a large bowl, stir together the oats and honey, until oats are evenly coated. Stir in the melted peanut butter until all is well combined. If the mixture seems too dry, add a bit more honey to moisten it up. Mix in the cinnamon chips. The push into a 9×13 pan, and press down so it’s evenly distributed and as flat as possible on top. Remove from oven and allow to cool before cutting into squares. Store in a resealable bag or air tight container for up to a week. Just place the pan (cover with foil, saran wrap, or a lid if your container has one) for one hour. Then, cut and enjoy! * To melt peanut butter, place in a microwave safe bowl, and heat for 20 seconds at a time, stirring after each increment. I did two rounds of 20 seconds and that was perfect. Time may vary depending on your microwave, so keep an eye on it – you don’t want to burn the peanut butter! Need a few more peanut butter recipe ideas? This looks great – a perfect quick and easy breakfast or snack! Ooooh. Cinnamon chips? I have some and need a recipe. Now I’ve found one! Peanut butter is a staple in our house! 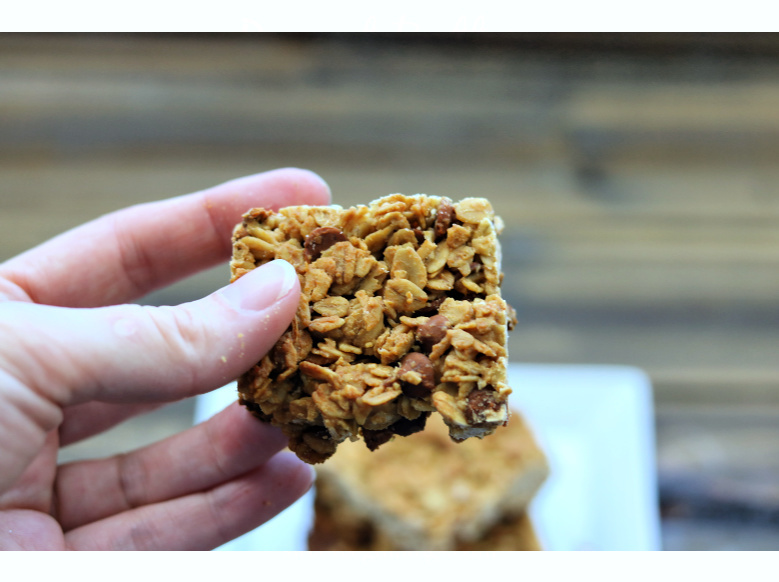 Love that you added cinnamon chips to these granola bars. They look so good! 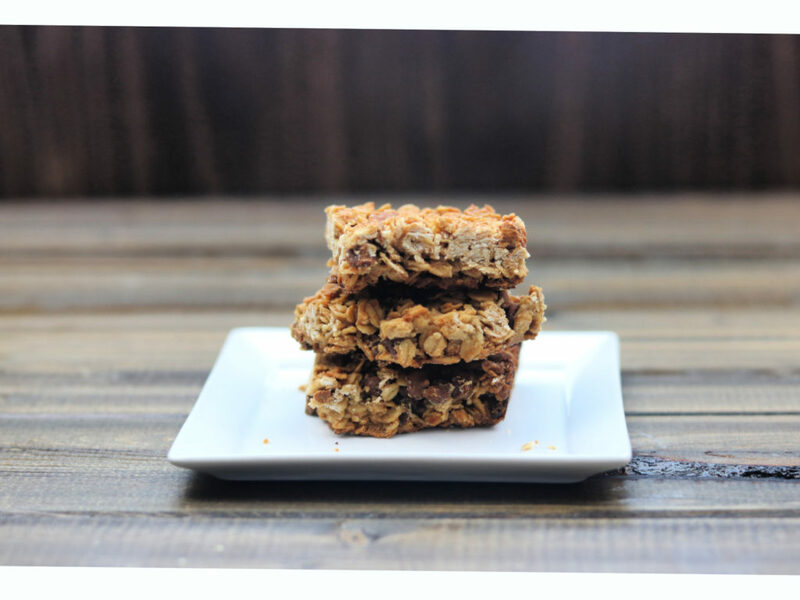 Homemade granola bars are always so much better than store-bought…especially when peanut butter is involved! So easy! Have to pick up a bag of cinnamon chips and try this! Peanut butter off a spoon is my favorite! Sometimes after a long day I will grab a spoon right when I walk in the door and scrape out a big dollop. Helps that both are stored near the door ;-). But I also love peanut butter granola bars. 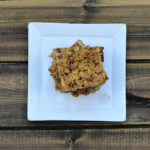 Besides this being a peanut butter granola bar, the best thing about this recipe is that you can either bake them or not! I love that! I really should make granola bars more often! Your recipe is so simple! This recipe is perfect! We are going hiking next week and now I know exactly what to make to bring with us for a snack on the trail! 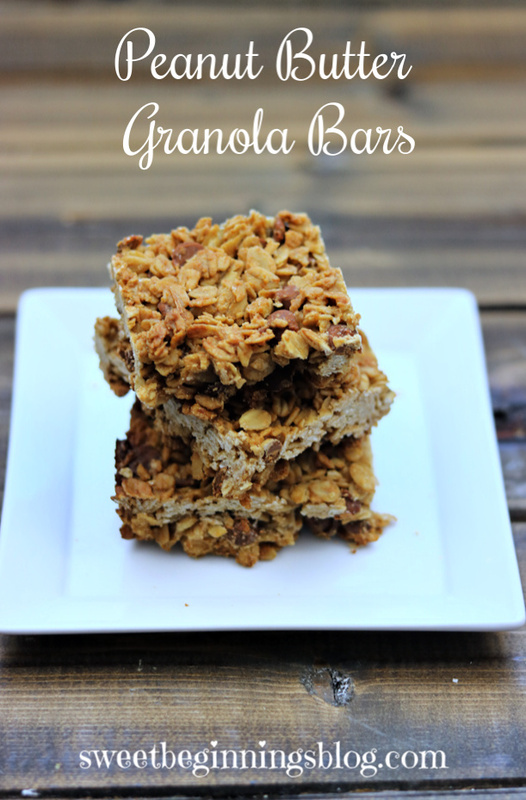 I need to make up a batch of these granola bars to send with my kids to school for between class snacks. I love that you added peanut butter to this granola. So tasty!